Productivity is a measurement of output per person employed. This economic statistic is underappreciated but has great explanatory power. The earnings rebound in 2009 has been largely fueled by margin expansion with productivity enhancements playing a large role coupled with cost cutting. 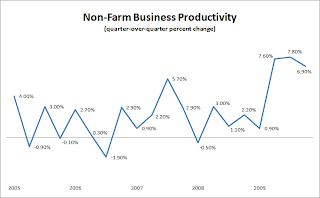 The second, third and fourth quarter nonfarm business productivity quarter-over-quarter improvements have been nothing short of impressive. The second quarter of 2009 saw a 7.6% jump, third 7.8% and fourth 6.9%. The bounce back in earnings of US firms clearly relates to the flexibility of the US workforce. 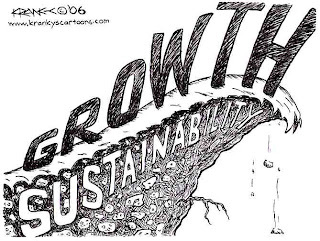 Firms rapidly cut expenses by lowering their labor costs and squeezing greater productivity out of the remaining employees. Nothing motivates employees like the fear of losing their job as a growing list of outsiders vie for their positions. 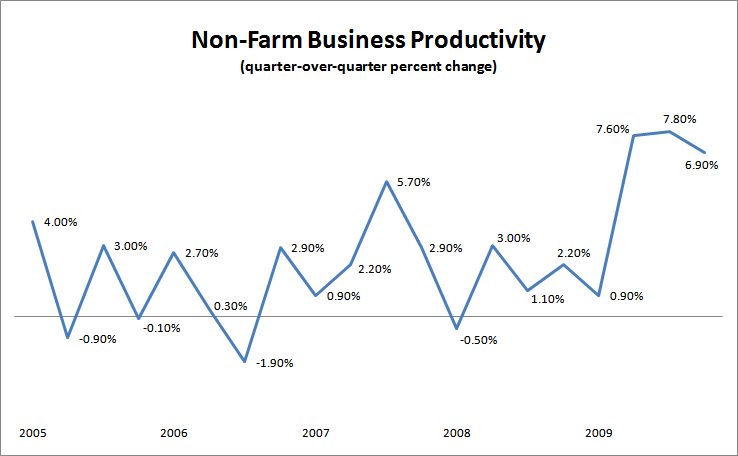 This buckling down of the US workforce has allowed firms to do much more with much less. The fourth quarter 2009 reading would roughly imply that firms could produce the same output with a 7% smaller employee base. This margin expansion explains much of the earnings comeback and the likewise surge in stock prices.